Many of the legal issues that affect health care companies are the same issues that face businesses and employers in every other industry. Like any other entity, health care organizations are expected to comply with state and federal regulations governing everything from employment law and workplace safety to securities and fraud. Similarly, health care providers routinely enter into contracts, leases, construction projects, agency relationships, and other binding agreements that can give rise to litigation. But in all these things, health care companies have additional, unique concerns. That’s because health care is one of the most heavily regulated industries in the world, and virtually any dispute or discrepancy can trigger a heightened level of scrutiny and review. At Oberheiden, P.C., we represent everyone from individual care providers (doctors, nurses, independent pharmacists, etc.) to major, multi-billion-dollar health care conglomerates. It is important to understand that virtually any company or care provider can be targeted in a regulatory investigation, qui tam lawsuit, or other health care litigation action. Health care litigation tends to attract media attention, especially when prominent physicians, large employers, or high-profile public corporations are involved. In the current political climate, allegations of health care fraud or misconduct can be regarded as scandalous, and the public is sometimes quick to rush to judgment. This can have a stigmatizing impact on your business or brand in a field where consumer trust is so essential to success. Accordingly, much of our work as health care litigators involves media intervention and reputation management. Even as we negotiate with government investigators or handle private litigation with third parties, we are vigilant in protecting your reputation against media controversies. In one case, for example, we served as counsel to a physician who had been accused by local television outlets of repeatedly harming patients during surgery. In another, we represented the Board of Directors of a health care conglomerate investigated by a major media outlet as part of a national TV broadcast. In some cases, we may even initiate litigation directly against media outlets that unfairly defame or malign your business practices and good name. Dr. Nick Oberheiden, a founding partner in our firm, has substantial experience in representing public figures and prominent medical organizations in high-profile health care litigation. Under his leadership, our office routinely advises community leaders and other public figures with respect to newspaper coverage, interview opportunities, TV communications, and other media requests. A qui tam lawsuit is a special kind of lawsuit that a third party (usually a “whistleblower”) files against your health care practice on behalf of the government to allege fraud or misconduct. 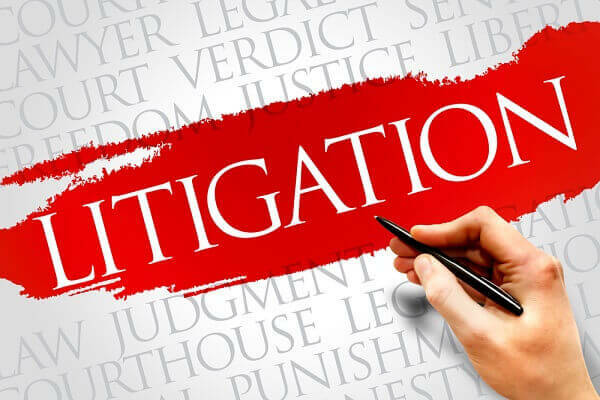 Qui tam lawsuits are a concern because they present not only the risk of hefty damage awards but also the possibility of civil or criminal fraud investigations by one or more federal agencies. Because whistleblowers are allowed to retain a portion of the government’s recovery in these cases, qui tam laws incentivize health care litigation. Too often, these cases are ultimately unwarranted by the facts. But the mere filing of a qui tam lawsuit is enough to invite enormous hassles that can impact daily operations within your business for some time to come. You can count on the health care litigators at Oberheiden, P.C. to aggressively defend you and your practice against qui tam litigation — and to strategically guide you through any of the regulatory audits or federal civil litigation that might transpire as a result. Whether you are facing a health care lawsuit or audit, want to avoid compliance issues in the future, or need media intervention and management, we believe we can help. Please contact us as soon as possible. Health Care Litigation Lawyers – Oberheiden, P.C.